Born in Canada, William A. Paterson moved to Flint, Michigan in 1869 to build carriages. In 1908 he built a prototype automobile, and by 1910, cars were his only line of business. There were a lot of car companies in America in the 1910s. Some were big and are still around today. Some were small and only lasted a few years. And then were companies like Paterson who fell right in the middle: they built a fair number of cars and lasted, as Paterson did, for a solid 15-ish years (until 1923, in this case). 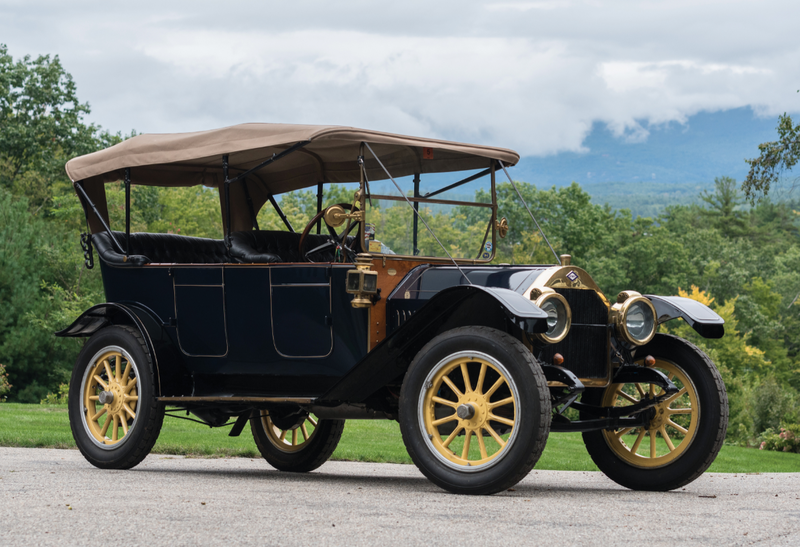 The 1910 Paterson model range consisted of the Model 30, the company’s first four-cylinder car. It is a 30 horsepower, 3.3-liter inline-four. Three body styles were offered, each costing $1,400. 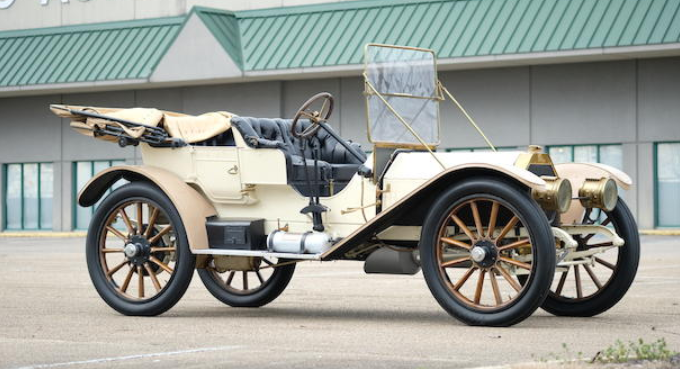 Only 450 cars were built in 1910. 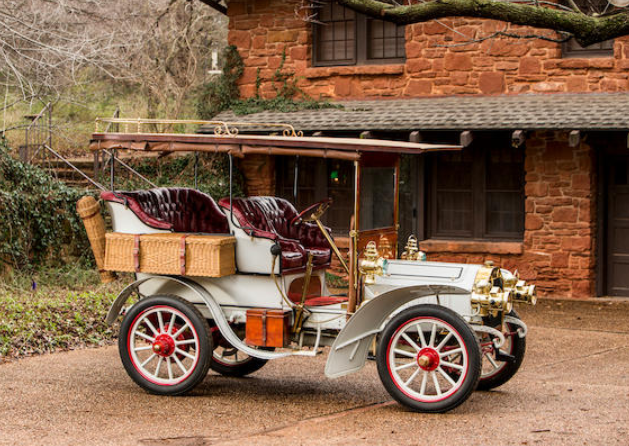 This car was once owned by the director of Dumbo and was then acquired by the Harrah collection. The Tupelo museum bought it from a Harrah’s dispersal sale in 1986. It should now sell for between $25,000-$35,000. Click here for more info and here for more from this sale. Anyone with any degree of mechanical knowledge could’ve opened an automobile company before 1910. In this case, J.B. Bartholomew of Peoria, Illinois, made peanut and coffee roasters before building his first car in 1901. In 1903 the Glidemobile went into production, and the name was shortened the following year to just Glide. 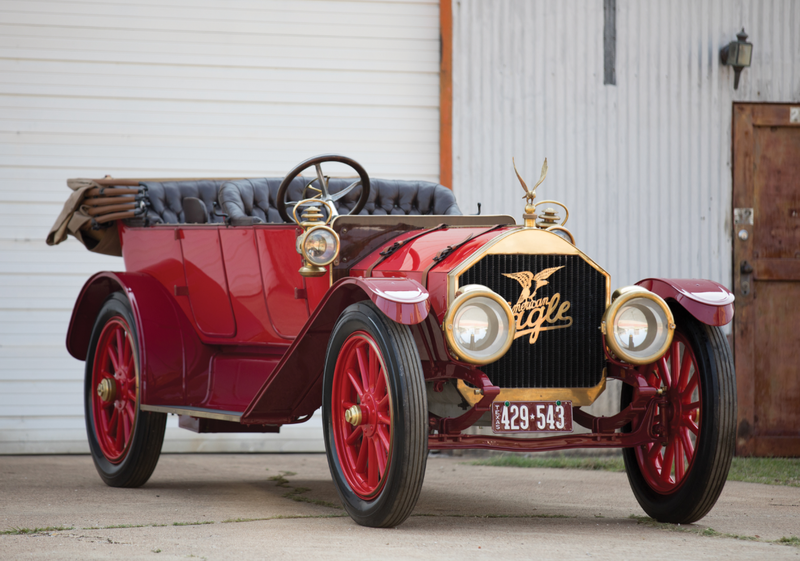 The 1910 Glide model range consisted of the Model 45 which was powered by a 45 horsepower 5.8-liter inline-four. Three factory body styles were offered, a three-passenger roadster, the five-passenger Scout touring, and a seven-passenger Special touring. This is the middle car, which cost $2,500 when new. It is a larger car than the photos would have you believe, and it is one of only a few Glides known to exist. Formerly a part of the Imperial Palace collection, it is the first car we are featuring from the now-closed Tupelo Automobile Museum. It should sell for between $38,000-$53,000. Click here for more info and here for more from this sale. Now here is something special. 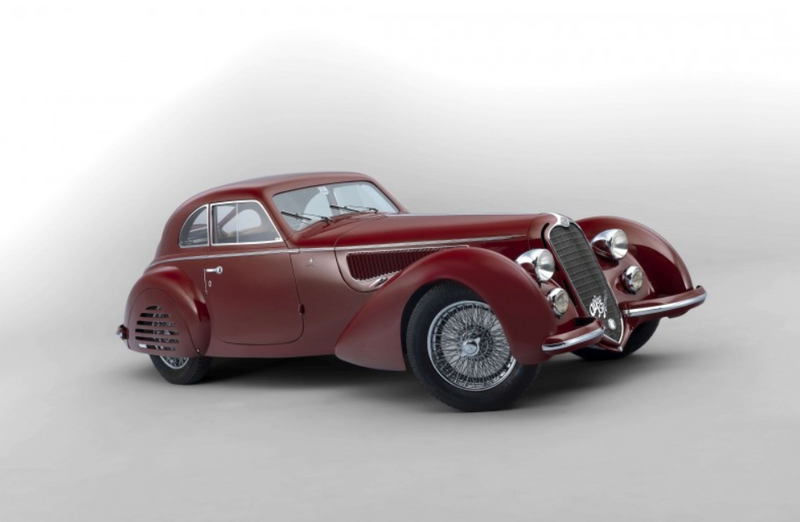 First, a quick recap of the Alfa 8C: it was introduced in 1931 in 2300 guise. 1933 brought the 2600, followed by the 2900 in 1935. There were also race cars sprinkled in there for good measure. The 2900B started production in 1937 and these were as grand as cars got before WWII. There are only 32 examples of the 2900B, and we featured the drop-top version of this car back in 2016. Two wheelbases of the 2900B were offered: Corto (short) and Lungo (long). I believe this is a long-wheelbase car, but the auction catalog is frustratingly unclear on that point. Only five Berlinetta versions were built by Touring, and this is number two. The engine is a supercharged 2.9-liter straight-eight making 180 horsepower. They were sporty in their day. No one is sure who owned the car first, but it was exported to the UK in 1939 and was purchased by the current owner in 1976. It has never been restored. The Lungo Spider sold for just under $20 million… the estimate on this car is $18,000,000-$25,000,000. Click here for more info and here for more from this sale. Barney Everitt left E-M-F in 1909 and he took William Metzger with him, leaving Walter Flanders out there on his own. 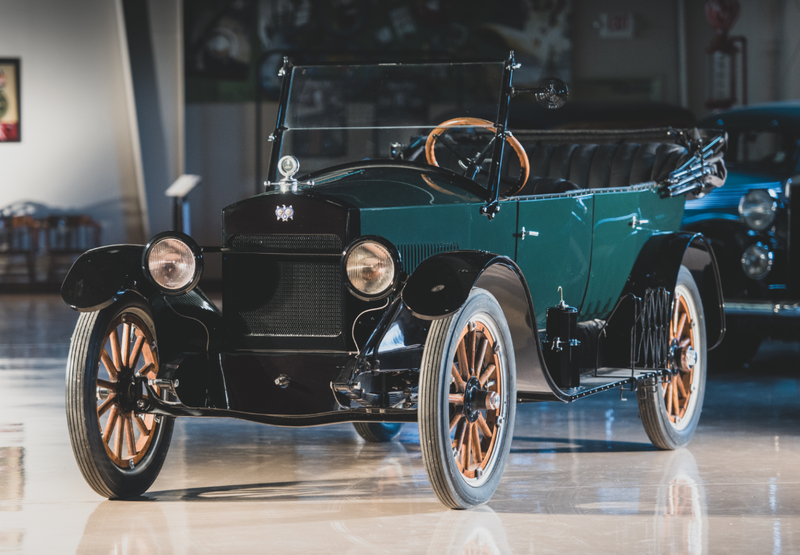 The resulting car from this new E-M combo was the Everitt, a car produced in Detroit from 1910 through 1912. 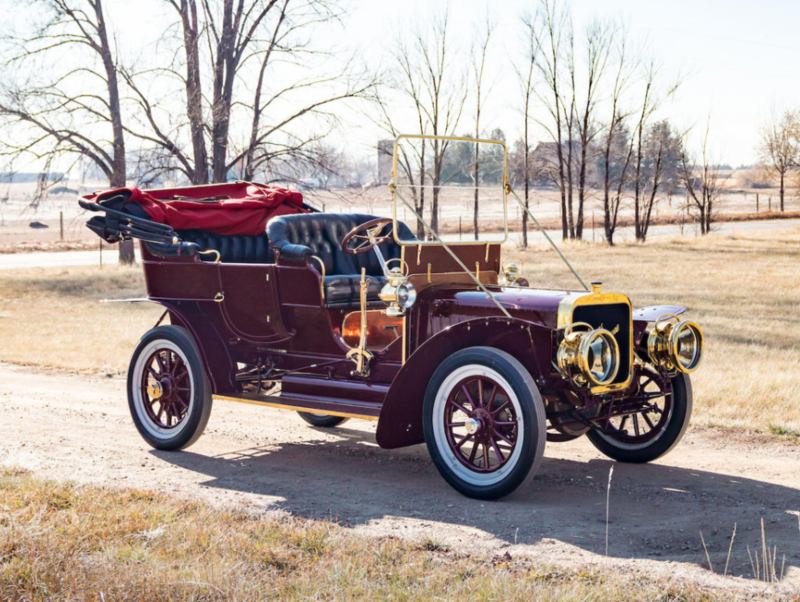 The 1912 model line was the largest the company offered, with three distinct models. It was a big, solidly-built car. But then Flanders came crawling back and the company was renamed the Flanders Six in 1913. That company was ill-fated as Flanders joined Benjamin Briscoe’s United States Motor Company, which was a disaster (and Flanders brought his new company with him, which Briscoe promptly killed). Anyway, this car, the handsome Everitt Six-48. It was the largest model the company offered and it’s powered by a 48 horsepower, straight-six. This is a five-passenger touring car (there was a larger, six-passenger version). It was restored in 2005 and looks great. This is one of the best styles of American cars of any era. They’re just grand. Click here for more info and here for more from this sale. There were a lot of car companies before 1920 that had the word “American” as part of their name. 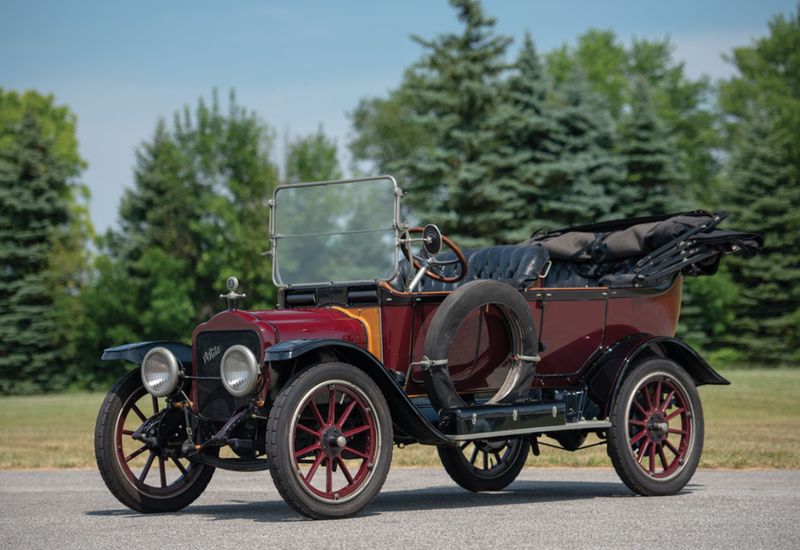 There was American, who was famous for their Underslung models, and then there were European marques like Austin, Fiat, and De Dion-Bouton, who all had American arms and thus named them separately. 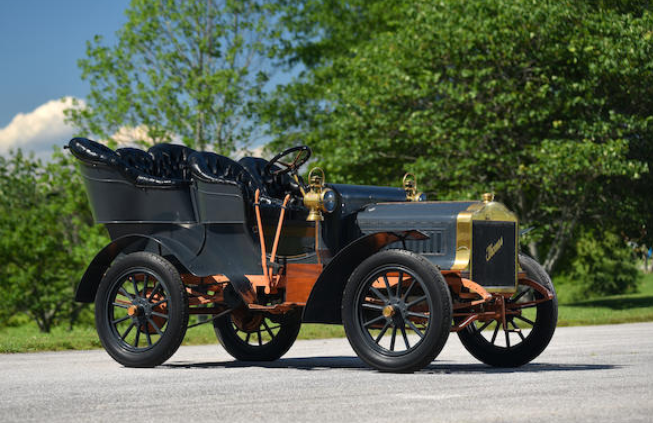 What we have here is a one-off car built in 1911 by Martin Burzynski of Detroit, Michigan. He never wanted to produce cars and never even bothered setting up a company to do so. Instead, Burzynski had a patent on an aluminum-sidewalled tire with spring-loaded canvas and rubber treads. This car was built as a test vehicle for those tires. Ultimately unsuccessful, this car only saw about 200 miles through the mid-1940s. It features a 60hp Wisconsin straight-six and a bunch of other off-the-shelf parts from other manufacturers. Perhaps the most interesting bit is that three of the original aluminum tires are included. Click here for more info and here for more from this sale. Essex was a brand of automobile founded by Hudson as a small, affordable car aimed at the lower end of the market. 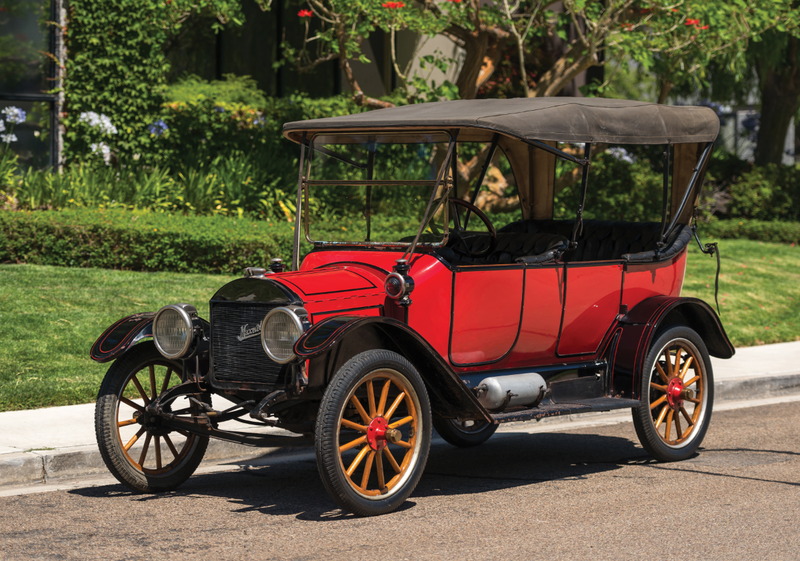 The first cars went on sale in 1919 and this example is from that first year of production. 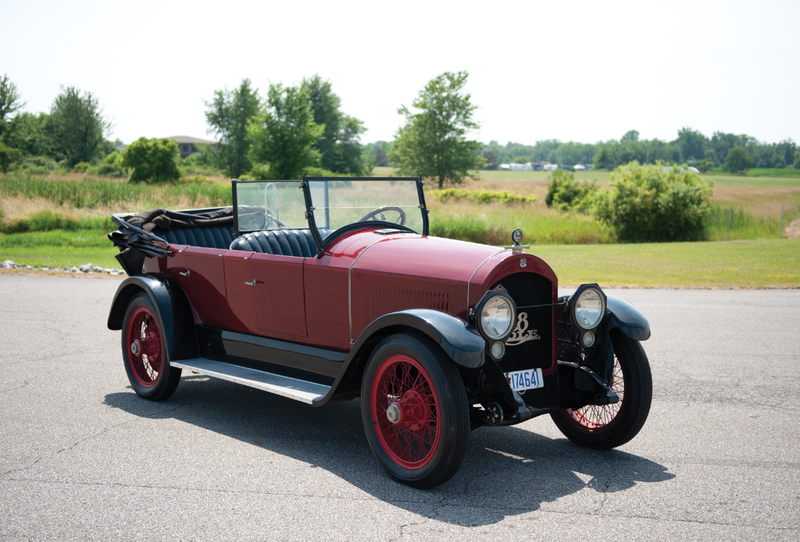 The Series A became the Series 5-A, 6-A, and 7-A in 1920, making it, in name, a one-year only model. Three body styles were available: a four-door sedan, two-door roadster, or this, the five-passenger, four-door touring car. The engine is a 55 horsepower, 2.9-liter straight-four. With it’s low price, middle-of-the-road looks, and big power, there’s an argument to be made that the Essex was the original sleeper. Top speed was about 60 mph. 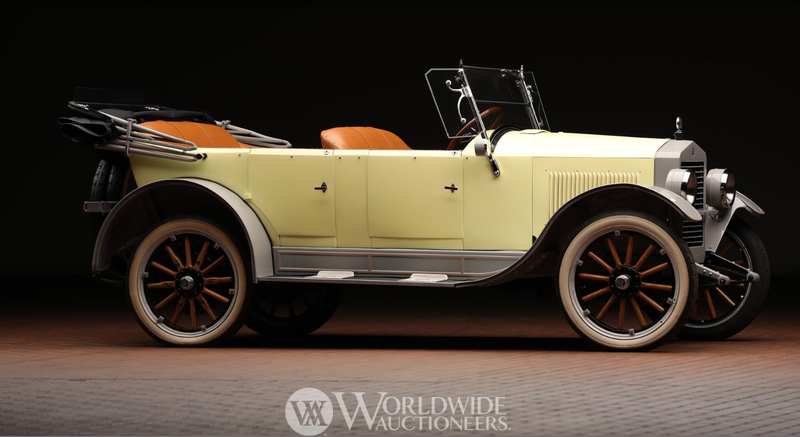 With a $1,395 as-new price, this touring car was a good start for a company that would produce cars through 1932. The restoration is older but the light yellow and silver paint are a good combo with those white wall tires. It’s been part of this Hudson museum since 2000. Click here for more info and here for more from this sale. The first Fords, namely the Model A, were transportation. This was Ford’s way of getting into the market. After selling a few hundred, he was able to expand his focus. Naturally, the next car he would build would be the Model B and it was a much different car than the A (and AC) before it. 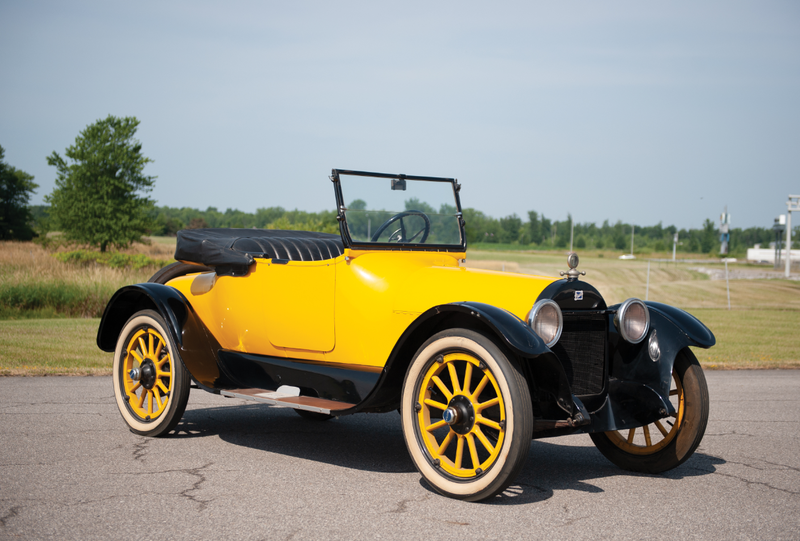 The Model B was Ford’s first front-engined car. And it was kind of luxurious, featuring brass trim with some polished wood throughout. Not just simple transportation. It was a relatively big car, too. 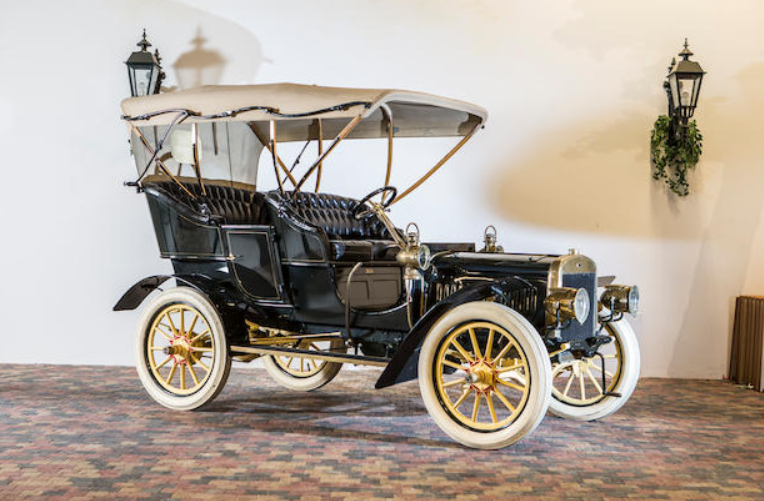 Priced at $2,000 in 1904, the Model B was more than double the price of any other car in Ford’s line. It’s powered by a 4.6-liter straight-four making 24 horsepower. This made it Ford’s first four-cylinder car as well. This car is coming out of a museum and sports white tires, something we love. 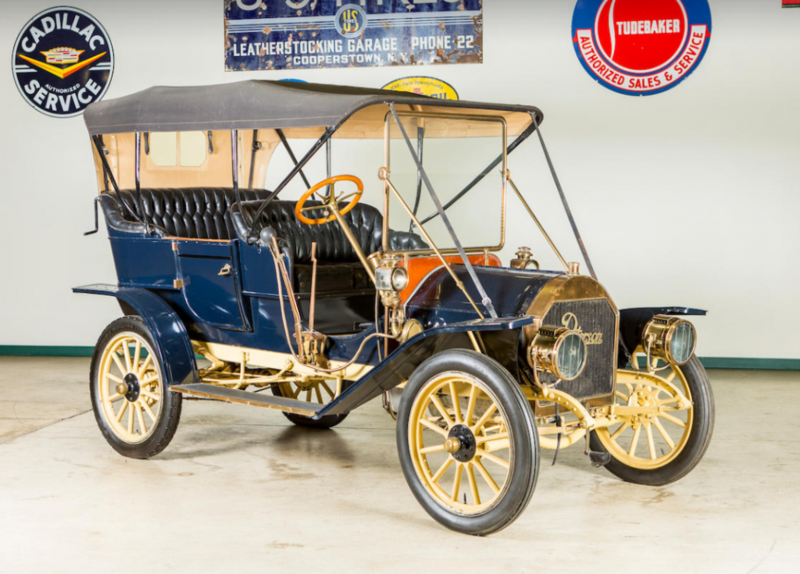 The Model B was available in 1904 and 1905 before being supplanted by the even more luxurious Model K. Ford would produce another car called the Model B in the 1930s, but this one is much, much rarer. It should bring between $64,000-$82,000 at auction. Click here for more info and here for more from Bonhams.